Landbay is a peer-to-peer lending platform which provides loans to buy to let investors. Founded in May 2014, it offers up to 3.75% returns secured against property with an average loan-to-value of 66.73% and a further reserve fund totalling 0.6% of outstanding mortgages. It is definitely a ‘hands off’ platform: you deposit your money, assign it to either a fixed term or tracker product, then just come back whenever you need to withdraw money. Note: Post first written 7th August 2016, updated with further details of Landbay ISA on 21st March 2017. Sell Out: Yes, and with no withdrawal fees. Speed of Investment: You start earning interest straight away, but the underlying investment may take much longer. This does not apply to the ISA (more below). Innovative Finance ISA (IFISA): Yes. 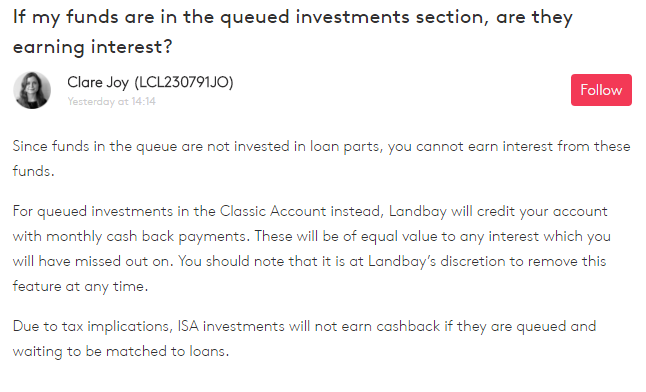 Landbay is not the biggest P2P lending platform. As measured by loan origination volume on the Altfi index, it had originated around £43 million in loans to November 2016. However, you would probably be surprised to hear that having used the website directly. For me, it is what a peer-to-peer lending platform should aspire to be. It is visually perfect, and everywhere you look there are links to clear FAQs, risk explanations and even independent stress tests that include a 20% fall in house prices. I invested in the tracker product. One great advantage of this is how easy it is to get in and out of. It took me a few hours to fully invest my capital. On other platforms its taken me much longer to get fully invested. 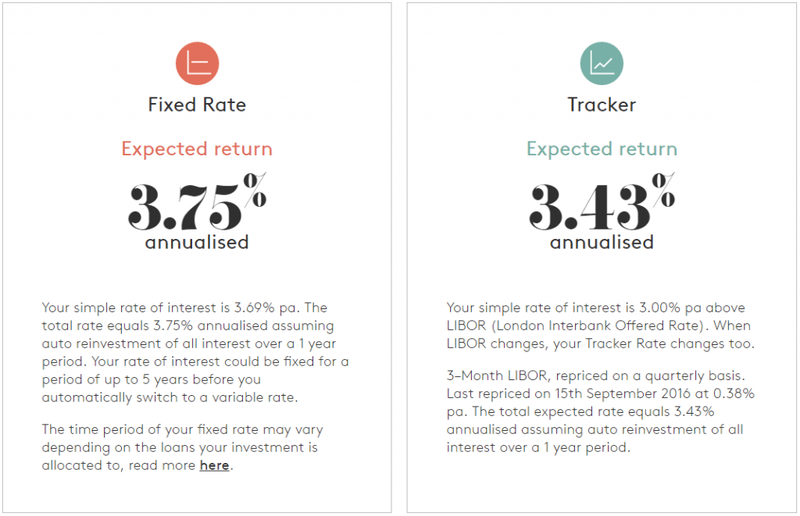 On Lending Works for example, I’ve waited weeks to get invested and that’s at an even lower rate of return. Landbay state that you can withdraw your money without fees which is also a huge plus. The Landbay new customer bonus is generous at £50, and even better they deposit into your account within a week so you can start accruing interest on it too. It’s important to note that you have to keep your initial £1000 invested for the 12 month period or their terms state they may deduct the £50 bonus if you withdraw earlier. Once you’re invested and go to log in to your account there’s not much to do. The only settings are for Auto-Reinvest and money transfers in/out. You can’t get much simpler than that. What Happens If There’s No Available Mortgages? At the moment your money is queued as there are not enough mortgages for it to be invested in. The mortgage market was relatively slow over the summer and our pipeline of mortgages has taken longer to drawdown than we anticipated. As soon as mortgages become available, your money will be invested. I did some digging to see what was happening about Landbay’s investment pipeline and wrote a more detailed post here a couple of weeks ago. Landbay is really simple to use. If you just want to deposit money and get it invested with no hassle it can’t be any easier. For me, the level of platform risk and potential to lose capital is lower than other peer-to-peer lending platforms due to the nature of the loan security, the provision fund and the efforts the team have gone to do things like stress testing. It’s also good to be able to withdraw money without a fee. 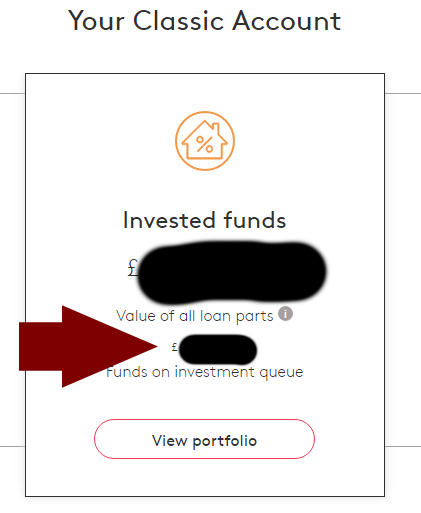 The refer-a-friend offer works out well for instance if you set aside £1000 to invest as part of a wider diversification across lending on many platforms. Overall on this £1000 you’d get a 9% return for that first year. On the downside they currently only have a single lending product available. The rate of return on this is not particularly enticing. If you just want a comparatively low risk peer-to-peer platform that is hassle free then Landbay could be good for you. If you are prepared to accept more risk, potential withdrawal fees, more effort and a greater investment lag then you can probably find better returns elsewhere. You are an active investor in Landbay or have been in the last 6 months. Just got a reply back from Landbay, they do not as yet have approval for an IFISA. Thanks Shaun. Their page dedicated to the IF ISA appears as if you can open an account already. When I spoke to them after reading your comment they said they are still waiting upon FCA approval. I’ll update the above!